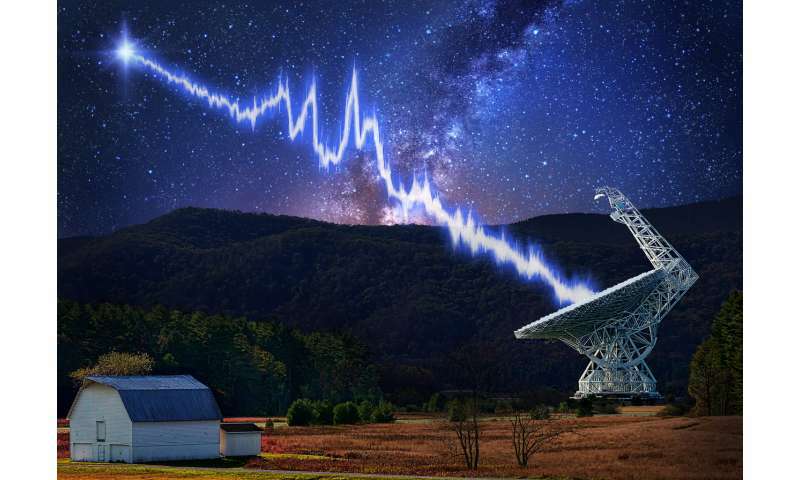 An international group of astronomers has found that the Cornell University-discovered fast radio burst FRB 121102 - a brief, gigantic pulse of radio waves from 3 billion light years away - passes through a veil of magnetized plasma. This causes the cosmic blasts to "shout and twist," which will help the scientists determine the source. The "shouting" represents the bursts, and the "twisting" describes a physical phenomenon called Faraday rotation, which occurs as radio waves pass through a magnetized plasma, explained James Cordes, the George Feldstein Professor of Astronomy at Cornell University. Measurement of the twisting provides further scientific detail on the origin of FRB 121102. The data was culled from the Arecibo Observatory in Puerto Rico and confirmed by Green Bank Observatory in West Virginia. "It's remote sensing from 3 billion light years away. These new measurements allow us to be much more specific about the immediate surroundings of the source," said Cordes. When radio waves pass through magnetized plasma, the direction of polarization at different radio frequencies become "twisted" by the Faraday rotation. The radio bursts from FRB 121102 twist to such an extreme - more than 500 times greater any other fast radio burst observed to date - that astronomers concluded the bursts must pass through a high magnetic field in dense plasma, making scientists believe that the youthful source of the FRB 121102 bursts may be close to a massive black hole in its own galaxy or a young neutron star cradled within a powerful nebula or a supernova remnant. "We estimate the magnetic field and gas density surrounding the blast source, and we can link them, for example, with a model involving a young magnetar - a neutron star with an especially large magnetic field - to the central engine that produces the bursts," Cordes said. 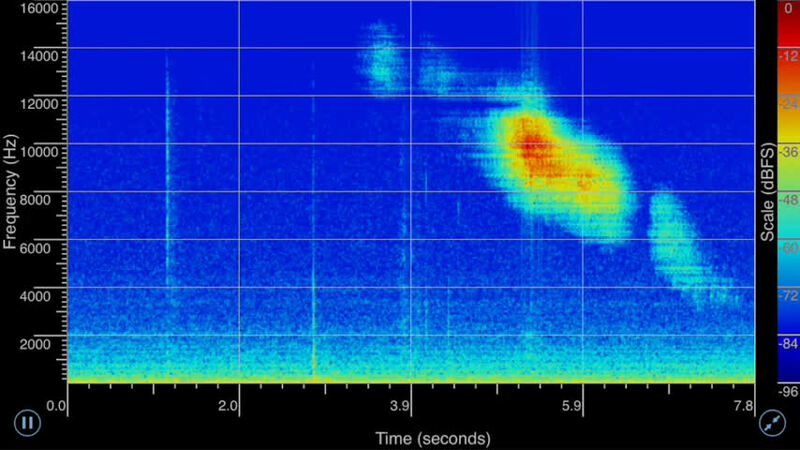 The radio source and its environment are unique, which indicates a new type of object not seen previously. Like an enormous eavesdropping ear on the deep heavens, the Arecibo Observatory is Earth's largest single-aperture radio telescope, tuned to find pulsars and transient sources, and to observe everything from galaxies to objects in the solar system. Hurricane Maria damaged it in September, but the observatory is recovering and continues to acquire scientific data. 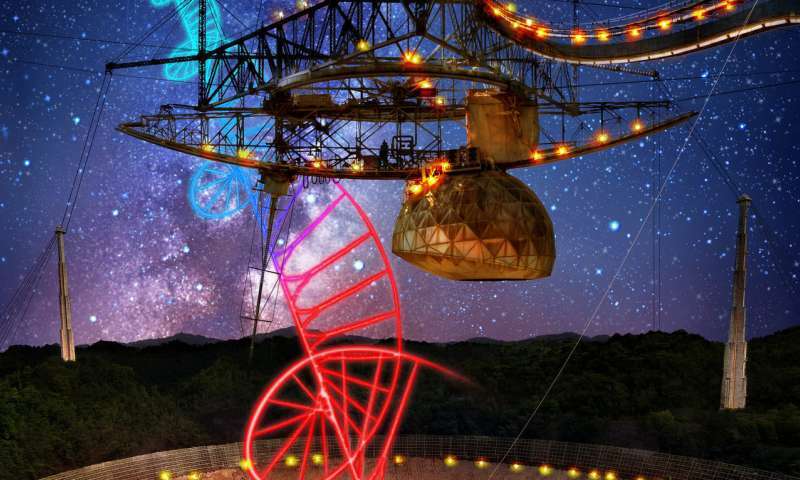 Up until several years ago, fast radio bursts were a new phenomenon with no conventional explanation, said Shami Chatterjee, senior research associate in astronomy at Cornell. "New phenomena get scientists excited. It's like fresh powder snow on a ski slope," said Chatterjee. FRB 121102 produces prodigious energy that Earth-bound scientists can detect, explained Cordes. In a flash lasting less than a millisecond, this burst source radiates enough energy to equal our sun's output for an entire day. "This is exotic. If we had one of these on the other side of our own galaxy - the Milky Way - it would disrupt radio here on Earth, and we'd notice, as it would saturate the signal levels on our smartphones," he said. "Whatever is happening there is scary. We would not want to be there."